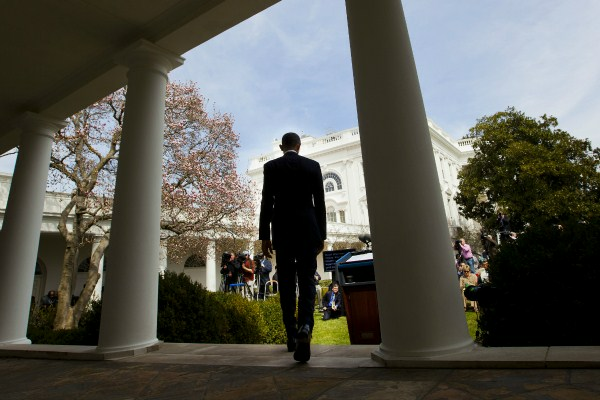 U.S. President Barack Obama walks out to speak in the Rose Garden of the White House about the breakthrough in the Iranian nuclear talks, April 2, 2015 (AP photo by Pablo Martinez Monsivais). Last week, U.S. President Barack Obama unveiled a diplomatic framework designed to prevent Iran from obtaining nuclear weapons. Opposition to the negotiations in Washington, which was intense all along, exploded, soon collapsing into near-hysteria. Critics compared the framework to the 1938 Munich agreement—the widely accepted gold standard for weakness and appeasement.